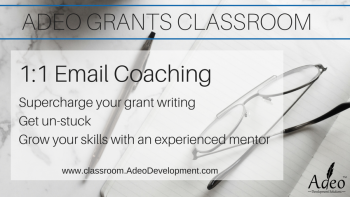 Step up your grant writing with email coaching designed to push you to the next level. For beginners and intermediate writers. To become an affiliate of this course, you need to signup with adeodevelopment.